← New Nissan Concept Breaks Cover in So Cal. 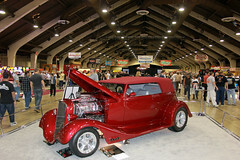 This entry was posted in Car Models, Events, Industry, Photography and tagged Custom Cars, Customze, Fairplex, GNR, Grand National, Grand National Roadster Show, mymotorways, Pomona. Bookmark the permalink.